Enjoy impressive 2.1 sound with solid bass from the Creative A250 speaker system. You're listening to music and online videos, watching movies and TV on your computer. But your built in computer audio just won't cut it. 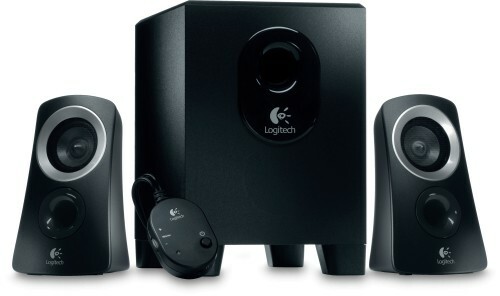 That's where the Logitech Speaker System Z313 comes in, offering you the easy way to enjoy your music. Its convenient control pod makes it easy to control volume and even plug in your headphones.